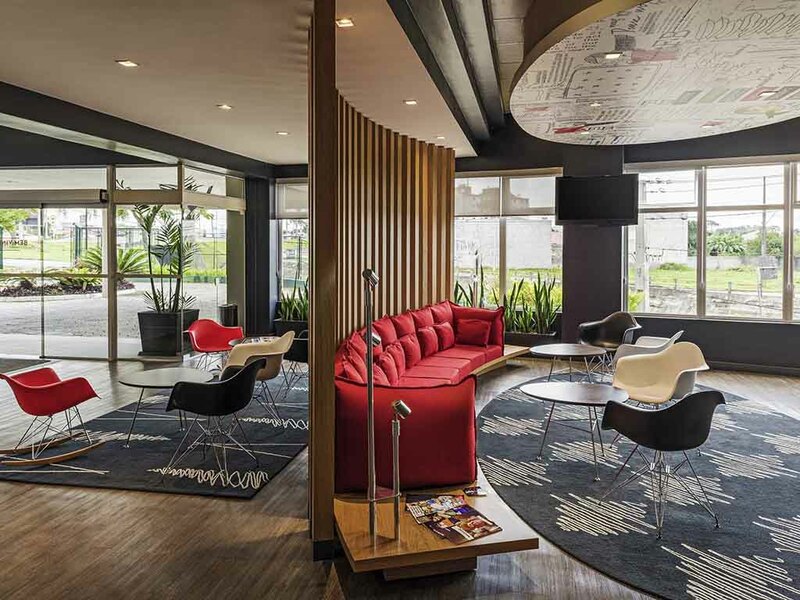 The Curitiba Aeroporto hotel is strategically located between BR376 and Afonso Pena International Airport. The hotel offers a wide range of facilities with 114 apartments, parking, restaurant and free WIFI Internet access. Ideal for anyone looking for sim plicity, practicality and comfort. It is good but not enough for me and my family. It has been good to stay just one night while we are travelling. But the price of the dinner is higher then others restaurants in the vicinity and you do not offer another options of meal instead of the buffet. The hotel is very convenient for those travelling to or through Curitiba Breakfast is very good. The room is typical for Ibis. Location is good - near to the Curitiba (Paraná, BR) airport. No-smoking hotel. Clean room with bathroom inside. Free and good access to the internet. Very good breakfast. I liked the hotel very much it’s very clean the only problem that we have was that when the Air conditioning started working the room started smelling cigarette and we have trouble to sleep because of the smell. when I arrived, I was noticed that my reservation was cancelled due no credit cart register. Anyway I could register and use the room/hotel. Staying at Ibis is always a pleasure. Clean and comfortable rooms, everything works and I don't have to pay extra for things I don't need. I was charged by the Hotel after my stay there. Somehow my reservation was doubled and, after my stay, I received a funny e-mail charging me 2 nights. As always, good bed, good shower, fantastic dinner but internet was very bad. Me atende dentro do esperado. Bad internet in all hotel. Very Clean & Staff Friendly Hotel, Good Food. Great hotel to stay. Near to Curitiba International Airport.